A performance task is an assessment that simulates a real world task for students and puts them into a role they could actually experience in the future. 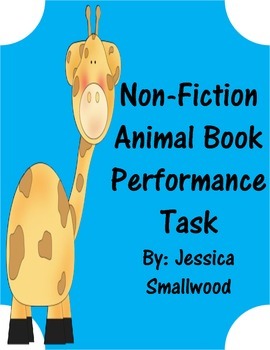 This performance task is to make a non-fiction book about an animal. The student is hired as an author and must create a book for their publisher. 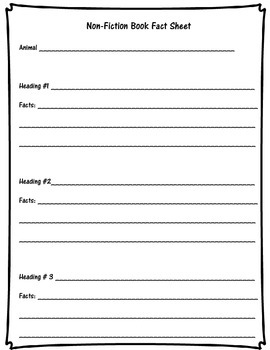 Students are expected to use non-fiction text features and research skills to complete this task. 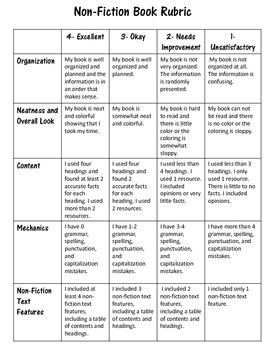 A rubric is included with this assessment. 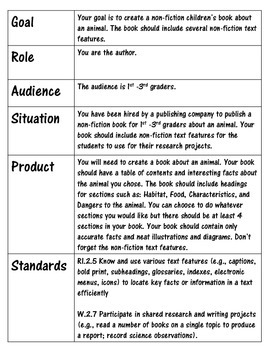 2nd grade standards were used to create this product, but this could be used for several grades to practice with non-fiction.